This silver tiny bead bracelet is adorned with a gold plated coin disc pendant detailed with tiny cut out stars and a light dusting of crystals, and tiny gold plated star. We won’t be waiting for pay day to get our hands on this must-have Hultquist Jewellery Star Moon Silver and Gold Ball Bracelet. The perfect moon and stars duo, side by side to celebrate the magic of the night sky. 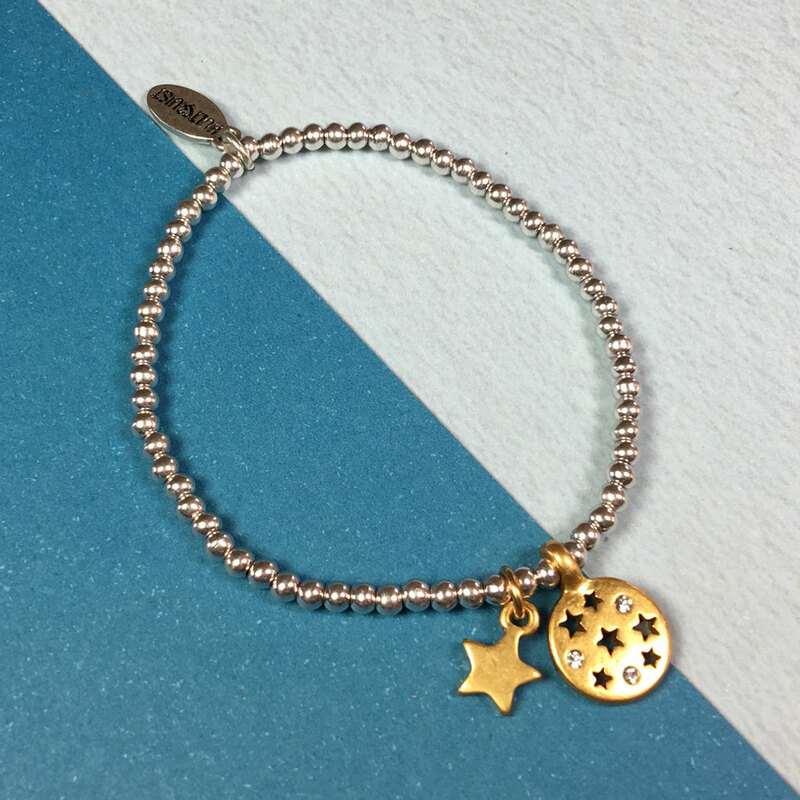 This silver tiny bead bracelet is adorned with a gold plated coin disc pendant detailed with tiny cut out stars and a light dusting of crystals, and tiny gold plated star. 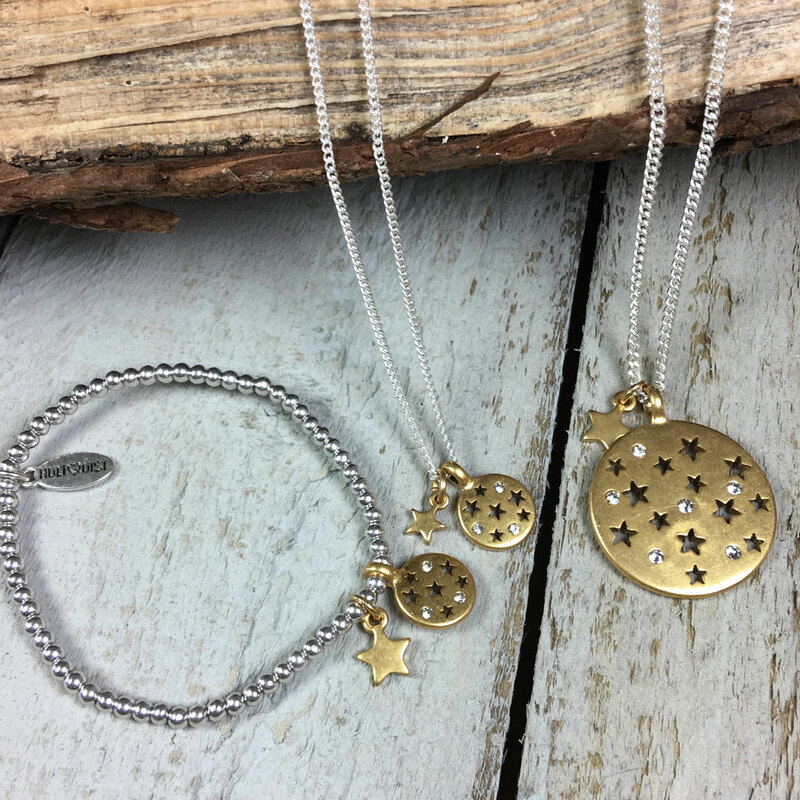 Lizzielane’s easy style tip – wear stacked with the Hultquist Jewellery Moon and Stars Short Silver and Gold Coin Necklace for some serious trend ticks. Hultquist Jewellery from the new Autumn Winter 2017 Collection will arrive beautifully presented in official Hultquist tissue paper and pillow style gift packaging. 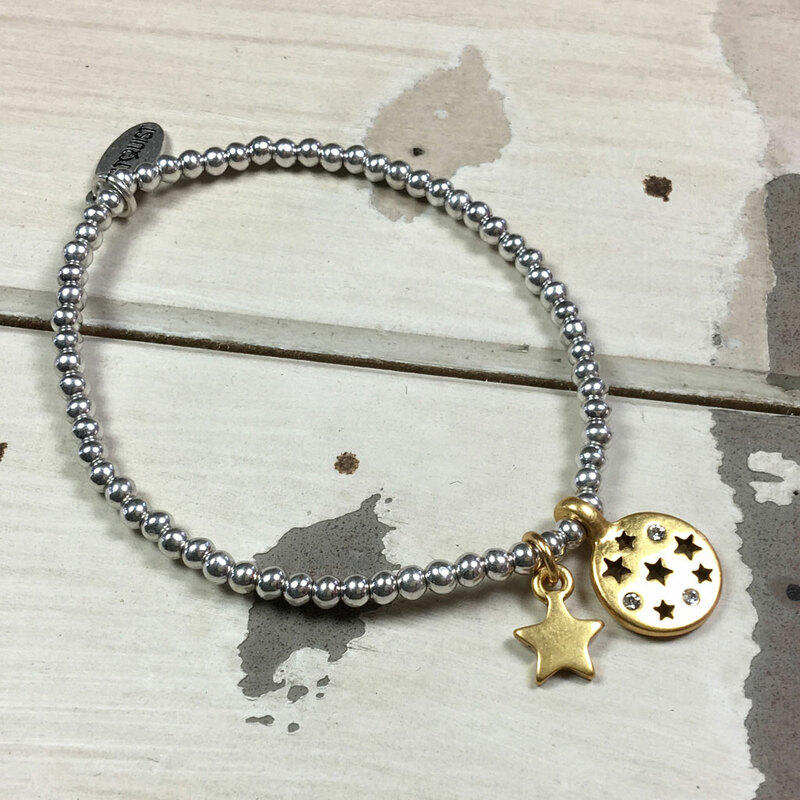 Pretty, delicate bracelet – more petite than it looks in the pictures, but that makes it more wearable, in my opinion. 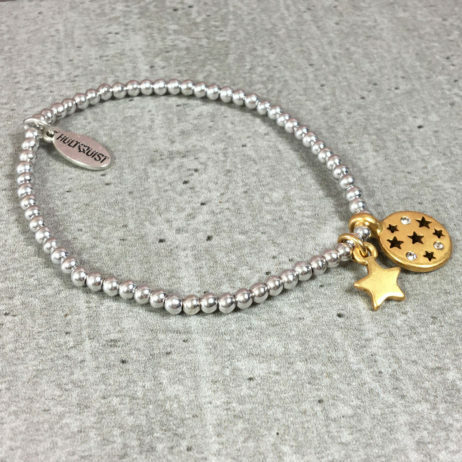 Lovely quality and goes with everything.